Content syndication is the process of publishing and promoting original web content, such as articles, blogs, and videos, on third-party websites. Quality content syndication networks typically have large, established audiences, and higher domain permissions. Whenever you share your content on these platforms, you can increase your site’s visibility and brand’s credibility. It can also improve your SEO. Content syndication can help you achieve a variety of goals. It may be driving traffic to the main site in a way similar to SEO or paid search or building your product’s user base, or maybe something totally different. Content syndication has significant SEO benefits, such as generating backlinks and enhancing domain authority (DA). However, content syndication also brings some SEO risks, including repetitive content penalties and decreasing your search engine rankings. So if you do syndicate your content, make sure you’re doing so correctly and effectively. Inbound.org is focused on online and inbound marketing content. The community allows participants to ask questions, start discussions, and post links to their own content. Medium provides a platform for publishing content, photos, audio, and videos directly. Users can comment and discuss the content on the platform. Slideshare is a network of LinkedIn alliances that carries multi-disciplinary professional content. Users/Viewers can upload demos and slides which inform and educate. Quora allows business owners and other professionals to showcase their expertise in certain areas. By providing answers to questions posed by others, this can build their personal and professional branding. Outbrain is a content marketing platform that offers advertising opportunities for your content on large online media properties such as CNN, People, and ESPN. With a a global audience of 557 million per month, Outbrain focuses on helping the brand understand and reach their target audiences while tracking insights and driving revenue. Taboola is a content discovery platform that offers local placement on top sites. Its technology assists marketers and publishers in distributing content to attract users and make money from traffic. Taboola provides personalized content to 1 billion users per month. 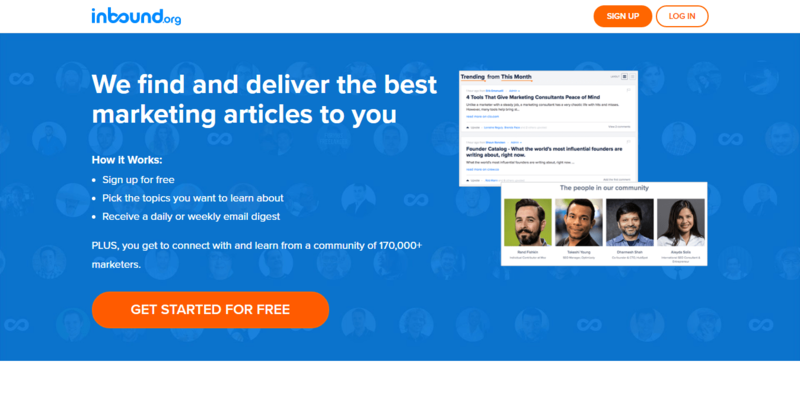 Scoop.it has become a great way for professionals and businesses to publish content. With the new social media and SEO rules, its content is now driving their online visibility; defining their areas of expertise, and helping them generate new business and potential customers. Facebook Business offers “business tools for each business goal” and provides paid as well as free resources to help businesses and organizations raise awareness, drive demand, and promote sales. LinkedIn focuses on helping companies build brands and generate potential customers. The platform offers paid as well as free content syndication opportunities. The paid syndication includes sponsored content, InMail, and dynamic display ads. StumbleUpon allows you to submit your favorite pages, follow people and interests, and share content. You can also browse popular trend articles, photos and videos, and create lists of your favorite pages. StumbleUpon also provides paid discovery systems for advertisers. Reddit has become a critical part of popular culture everywhere. It can reach tens of thousands of people every day because it provides something for everyone. Tumblr has a dashboard that provides a live feed of the blogs that users are tracking. These posts are automatically displayed and can be interacted with at any time. It provides a space for all activities, which makes management and filtering very easy. Syndication is also ideal for your visual content, such as charts and infographics. Simply submit visual content to a community center and provide a quick profile for your customers. By including an embed code for your infographic or chart, you can allow readers to easily copy and paste snippets of code and embed the content on their own sites. Platforms like Piktochart, Venngage, and Gifographics.co can help you create stunning charts and presentations using built-in templates in simple steps. The engagement rate of audio content is quite high. 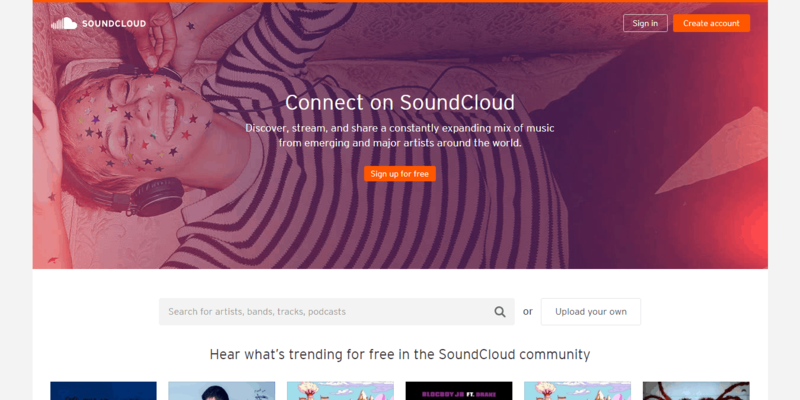 SoundCloud and iTunes are the 2 main audio platforms that allow marketers to spread their content in the form of podcasts. A video distribution strategy is critical for digital video publishers. and the best distribution strategy is to interact with distribution partners using video-syndication platforms such as YouTube and Ooyala. RSS feeds are the most intimate type of syndication for a blog. 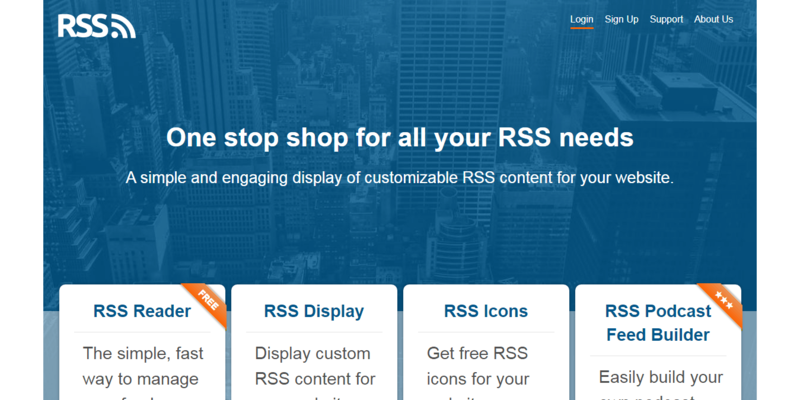 Regardless of which CMS platform you use, RSS feeds can be used as a whole component. Great list of platforms. Thanks for sharing. I am using most of them. And will definitely try the remaining one’s. Thank you for this helpful list of sites. !! !